2. In a separate bowl, combine the flour, matcha green tea powder, baking soda and salt. Add this to the batter in 2 additions, alternating with the sour cream. 3. Spoon the batter into 3 greased and floured 6” round cake pans. Bake at 350F for 35-40 minutes, or until a skewer inserted into the centers comes out clean. Cool completely. 2. Set aside 1/3 of the buttercream. Add the matcha green tea powder to the remaining 2/3 buttercream and mix well. Place the white buttercream in a piping bag fitted with a large, round piping tip. 2. Place the first cake on your work surface and add a dollop of matcha buttercream. Spread onto the surface, then repeat with another layer of cake, buttercream and then the final layer of cake. 3. 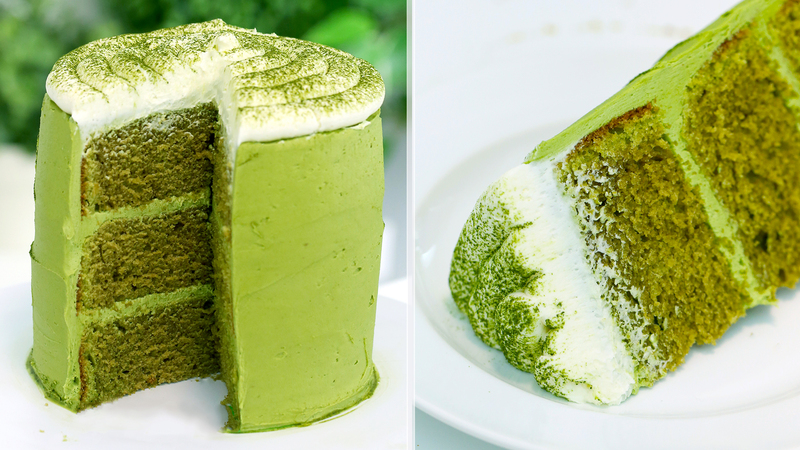 Coat the cake in a thin layer of matcha buttercream, called a crumb coat. This will catch any excess cake crumbs. Chill the cake in the fridge for 20 minutes. 4. Coat the cake in a thick, generous layer of matcha buttercream. 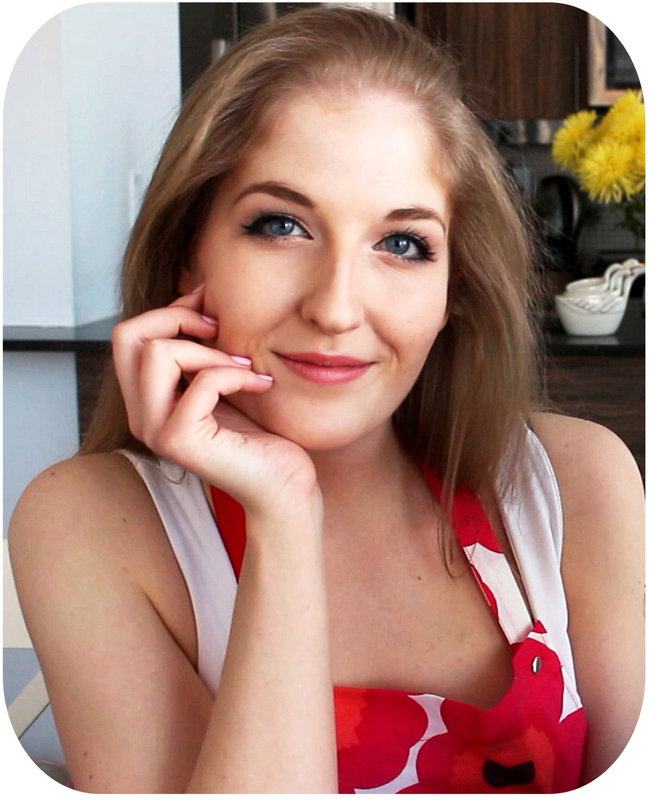 Use a palette knife to smooth the sides of the cake. 5. Pipe rings of white buttercream onto the top of the cake, starting with the outer ring and working inwards. Dust with matcha green tea powder and enjoy!